Every multinational firm out there use diverse nature data analysis tools to make the exact decisions to achieve desired future expected output. It’s mandatory to assure quality of all these software in order to gain expected results. As the product development manager, it’s your responsibility to assure the performance and reliability in results of all these data analysis tools by hiring the services of a software testing company having years of experience in quality assurance. Any QA services firm has a team of experienced professionals those help it’s users to assure quality for a longer duration. 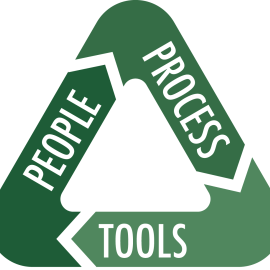 Sustainability in QA tools is a key to achieve perfection in output. A software testing company employ following result oriented test analysis tools to establish optimized level quality. Test analysis measures will only deliver the desired amount of quality benefits, if these are employed out in a sustainable manner without any significant lapse. It’s always beneficial to implement test analysis tools in a sustainable fashion. When it comes to quality assurance of data analysis tools, performance testing can play a vital role. Through it developers of any data analysis software can easily maintain quality in performance for a long lasting time. Sometime a software does not perform well, when thousands of users tries to access. This happens, when a software is cloud based and it is accessed through internet. Performance testing assure the overall performance quality of a software by determining its responsiveness, throughput, reliability and scalability on reliable parameters. Any software testing company use load runner, QA load, Silk Performer and Jmeter to establish overall performance quality through performance testing. A QA services firm use the following performance testing procedure to access quality of data analysis tools.